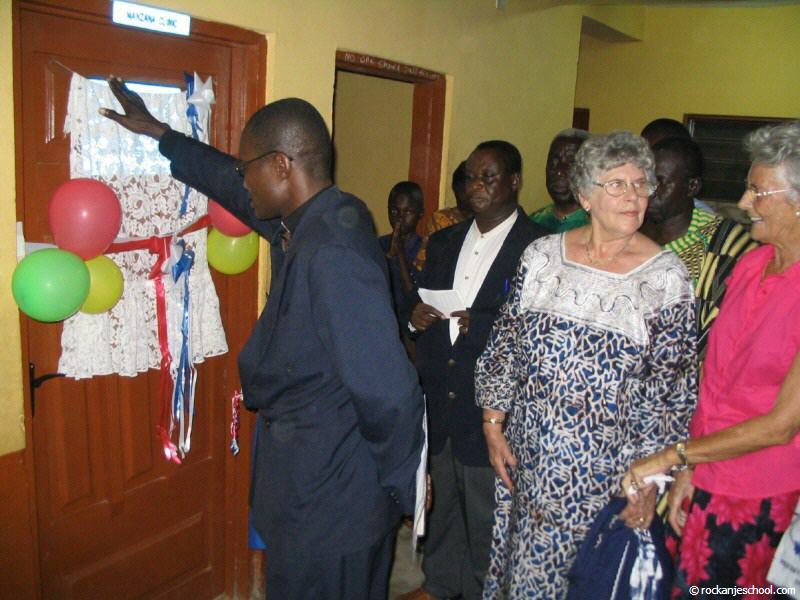 The festive opening of the “Manzana school clinic”, named after the foundation Manzana, was on 13 October 2004. Currently two certified nurses and an assistant work here. Especially discovering malaria in an early stage has high priority. Providing information as how to prevent malaria by the proper use of mosquito nets is very important. Malaria is the number one public enemy in Ghana. That’s why the foundation decided to provide a free mosquito net to each of the students. Medicines and instruments are also in stock so all of the students who are not feeling well can be examined and treated in the school clinic.